A man may not know the right path, but if he has bhakti and the desire to know God, then he attains Him through the force of sheer bhakti. Once a sincere devotee set out on a pilgrimage to the temple of Jagganath in Puri. He did not know the way; he went west instead of south. He no doubt strayed from the right path, but he always eagerly asked people the way, and they gave him the right directions, saying, This is not the path; follow that one.’ At last the devotee was able to get to Puri and worship the Deity. So you see, even if you are ignorant, someone will tell you the way if you are earnest. 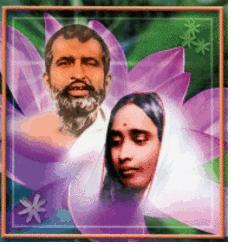 Sri Ramakrishna: “In samadhi one attains the Knowledge of Brahman – one realizes Brahman. In that state reasoning stops altogether, and man becomes mute. He has no power to describe the nature of Brahman. 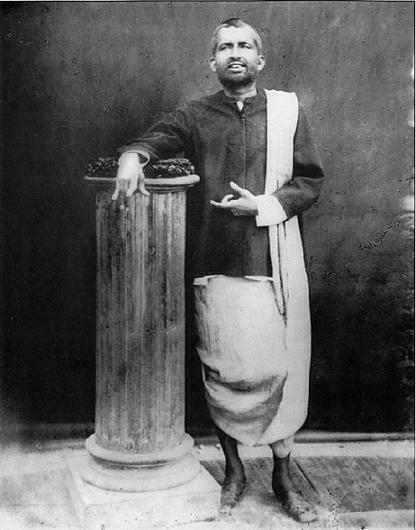 Sri Ramakrishna (to Hazra): “Yes, all one’s confusion comes to an end if one only realizes that it is God who manifests Himself as the atheist and the believer, the good and the bad, the real and the unreal; that it is He who is present in waking and in sleep; and that He is beyond all these. “There was a farmer to whom an only son was born when he was rather advanced in age. As the child grew up, his parents became very fond of him. One day the farmer was out working in the fields, when a neighbour told him that his son was dangerously ill—indeed, at the point of death. Returning home he found the boy dead. Sri Ramakrishna: “Listen to a story. Once a man entered a wood and saw a small animal on a tree. He came back and told another man that he had seen a creature of a beautiful red colour on a certain tree. The second man replied: ‘When I went into the wood, I also saw that animal. But why do you call it red? It is green.’ Another man who was present contradicted them both and insisted that it was yellow. Presently others arrived and contended that it was grey, violet, blue, and so forth and so on. At last they started quarrelling among themselves. To settle the dispute they all went to the tree. They saw a man sitting under it. On being asked, he replied: ‘Yes, I live under this tree and I know the animal very well. All your descriptions are true. Sometimes it appears red, sometimes yellow, and at other times blue, violet, grey, and so forth. It is a chameleon. And sometimes it has no colour at all. Now it has a colour, and now it has none.’ “In like manner, one who constantly thinks of God can know His real nature; he alone knows that God reveals Himself to seekers in various forms and aspects. God has attributes; then again He has none. Only the man who lives under the tree knows that the chameleon can appear in various colours, and he knows, further, that the animal at times has no colour at all. It is the others who suffer from the agony of futile argument. “Kabir used to say, ‘The formless Absolute is my Father, and God with form is my Mother.’ “God reveals Himself in the form which His devotee loves most. His love for the devotee knows no bounds. It is written in the Purana that God assumed the form of Rama for His heroic devotee, Hanuman. 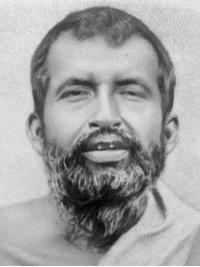 Sri Ramakrishna (with a smile): “Do you know my attitude? Books, scriptures, and things like that only point out the way to reach God. After finding the way, what more need is there of books and scriptures? Then comes the time for action. “A man received a letter from home informing him that certain presents were to be sent to his relatives. The names of the articles were given in the letter. As he was about to go shopping for them, he found that the letter was missing. He began anxiously to search for it, several others joining in the search. For a long time they continued to search. When at last the letter was discovered, his joy knew no bounds. With great eagerness he opened the letter and read it. It said that he was to buy five seers of sweets, a piece of cloth, and a few other things. Then he did not need the letter any more, for it had served its purpose. Putting it aside, he went out to buy the things. How long is such a letter necessary? As long as its contents are not known. When the contents are known one proceeds to carry out the directions. “In the scriptures you will find the way to realize God. But after getting all the information about the path, you must begin to work. Only then can you attain your goal. “What will it avail a man to have mere scholarship? A pundit may have studied many scriptures, he may recite many sacred texts, but if he is still attached to the world and if inwardly he loves ‘woman and gold’, then he has not assimilated the contents of the scriptures. For such a man the study of scriptures is futile. see you. Let me get you some refreshments.’ She left the room. The woman looked at the threads of different colours and was tempted. She hid a bundle of thread under one arm. The weaver returned presently with the refreshments and began to feed her guest with great enthusiasm. But, looking at the thread, she realized that her friend had taken a bundle. The Sri Ramakrishna continued: “I don’t press my arm to my side. Both my hands are free. I am not afraid of anything. I accept both the Nitya and the Lila, both the Absolute and the Relative.